HOOVER, AL (WBRC) - Nearly thirty years ago, he stood eagerly in the WBRC sports office eager to please. His name was Chris Stewart, and I had a feeling that this sports intern would be somebody. Oh, he was already a sharp young man, but he had a sparkle in his eye than many interns do not have. A young man who would do what it took to make it in a very difficult business. Fast forward to last week when I visited the Crimson Tide basketball and baseball play-by-play announcer and his wife Christy in their Hoover home. Chris was wearing an eye patch that he jokingly told me made him look like the new mascot for Hoover High School. His spirits were high, his energy nearly returned. Once again, Chris was showing me that he did what it took to succeed - did what it took to live. For it was just over two months prior that Chris Stewart was rushed to the hospital after suffering a stroke. How could this happen? How could a healthy man who had just returned from calling an Alabama baseball game go to sleep and not wake up until two o'clock the next day? How could a man who had settled into his nice life find himself with two blood clots in his brain? Chris told me that his doctors insisted there were no warning signs, nothing to indicate that his life could be in danger. They say timing is everything, and Chris had time - and his wife - on his side the morning of April 16. Christy happened to wake up at 4:30 in the morning. She thought she would check on her 7-year-old: That's when Christy found her husband grunting while hunched in a fetal position. Christy followed her gut and saw that her husband was taken to the hospital. Could Christy have saved Chris' life? What if she had slept through the night? Would those few more hours have cost Chris? Stewart believes that Christy indeed saved his life, and he's telling his story to us. Years ago, I always knew that Chris would carve out a nice career. Now he's carved out a second chance at life, and he's enjoying resting up before returning to work in mid-August. His plans? 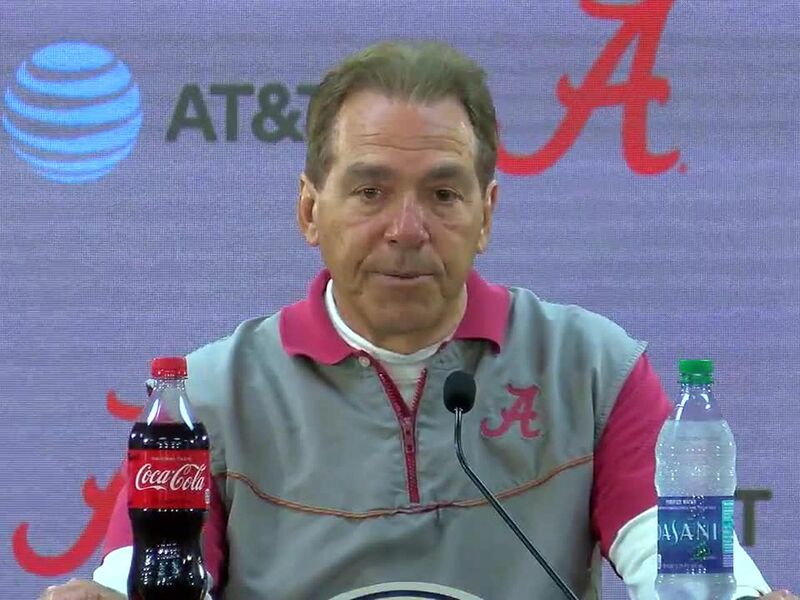 To be ready to host Coach Saban's pre-season TV special and then be on the sidelines for the Crimson Tide's football season opener in Orlando. His energy will return, his droopy eye will heal, and Chris Stewart will be back. I always knew it. Thanks to Chris & Christy Stewart for having me in their home, and a shout to the kids: Hudson, Parker, and Anne have been there every step of the way.